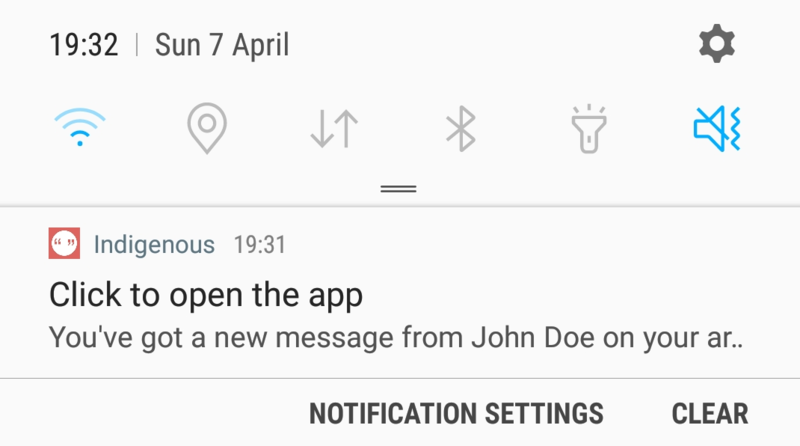 The latest release of Indigenous for Android brings a handy new feature: push notifications! You can fully control what you receive, since you are able to send them yourself on any given moment. Push notifications are send via Pushy.me which relies on MQTT. Setup is easy: login with the same account as you do in Indigenous at https://indigenous.realize.be, which is now the new home of Indigenous for Android. You'll receive an API token which you can use to send push notifications. If you are on Drupal and enabled the IndieWeb module, you can also enter the API token on the microsub settings screen to automatically get notified when a new webmention comes in. I would be awesome to see other frameworks or services to offer this functionality as well! The service is completely free. It's also optional, so no resources are wasted of your phone if you decide not to enable it. Future releases of Indigenous will also allow to configure your own MQTT backend. Sadly enough, the F-Droid version doesn't contain this feature yet. I expect it to arrive, along with location, in a couple of weeks!